Owner/President of All Trust Home Care. Prior to being in the business, Mike’s family was looking for the services of a caregiver. After interviewing a few companies, it was evident there was a need for a higher level quality company to provide these services. With some diligent investigation into the industry, All Trust Home Care was born. Mike stated “Training the Caregivers and providing them with the proper tools is an essential part of establishing a successful relationship with the client, especially when working with someone who has Alzheimer’s”. A diagnosis of Alzheimer’s Disease or dementia can be devastating to the individual receiving the diagnosis as well as their family. Based on his experiences, Mike decided to dedicate his career to helping others through this process. Since that time, All Trust Home Care has grown to become one of the largest, licensed Home Services Agencies in the state. 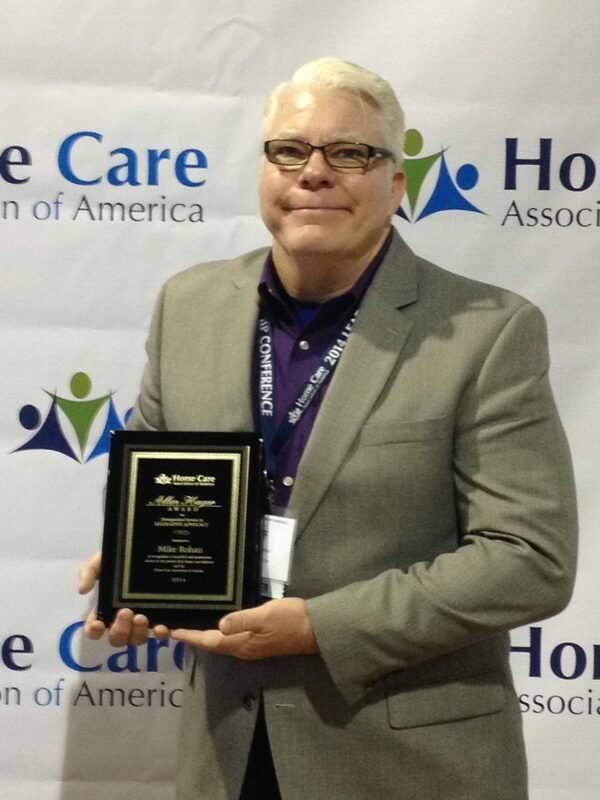 In addition, Mike currently serves as President of the Illinois Chapter of the Home Care Association of America. He remains committed to helping families find quality care for their loved one and feel confident in their choice. "I appreciate everything that you have done to accommodate our needs. My Dad really loves Peggy coming in to help us out. It's a pleasure doing business with your company. "